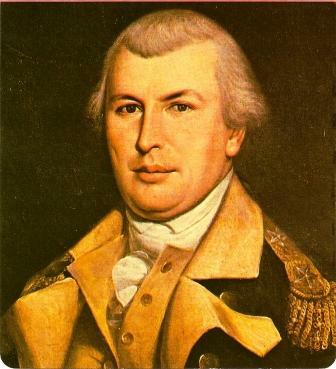 Born in Rhode Island on August 7th, 1742 Nathaniel Green played a critical role in torpedoing the British southern campaign. Rarely victorious in battles, Greene nonetheless avoided disasters and stuck multiple blows to Cornwallis’s southern army. Greenes’ “flying army” eventually bled the British out of the South and into Yorktown. From there Washington and Rochambeau took over. Nathaniel Greene was buried in Savannah’s Jonathan Square after succumbing to a heat stroke during a tour of his plantation.